Looking back at the past century, this paper explores, first, the genesis and limitations of the Neo-Patristic synthesis and, second, the specialization and fragmentation of the discipline of theology, thereby also indicating possible new directions. The return to the Fathers, urged by Florovsky and others in exile in the West, was seen as both a liberation from the “Westernized” theology of their own past and a distancing from the “Westernized” religious philosophy of Bulgakov; yet in appealing to the “mind” of the Fathers, rather than more concretely to their texts, Florovsky drew from the same well-spring of Romanticism and Idealism. The legacy of the Neo-Patristic synthesis is mixed: it was a breath of fresh air and stimulated many great works, but it has also stymied theological reflection by, first, not paying close enough attention to the particularity of each Father and, second, by giving the impression that theology can only be carried out under a patristic guise. The specialization within the different fields of theology over the past century has also been a mixed blessing: it has, on the one hand, fragmented the discipline to the point that it is hard to see all the fields belonging together as theology; but on the other hand it has also provided a dramat­ically increased understanding and knowledge of the historical contextuality of the Christian faith and each element within it, so that we are again able to hear the distinct voices of others. As such, the future of Orthodox theology may lie not so much in returning to some lost golden age of purity, which in reality is always our own projection of self, but in hearing the dialogue of the Christian witnesses, learning to take part in that conversation, and then, with all the resources now available to us, to address the Word of God to the twenty-first century. Despite all the prior anxiety regarding the change in millennium, the world continued turning as we transitioned from the twentieth to the twenty-first century and human life continued uninterrupted. However, hermeneutically speaking, a seismic shift had occurred, one that we are only beginning to chart. In an instant of time, a distance of centuries opened up, offering a new perspective on what had, till that moment, been our own present. The objectification of an era as “the past century” provides a critical space in which, as we look back at how things were done in the last century, new questions can be raised, new insights emerge, and steps forward taken. There are two particular features of the last century that I would like to consider: the genesis and limitations of the “neo-patristic” synthesis, and the specialization and fragmentation of the discipline(s) of theology. This analysis of our own immediate past also provides indications of possible new directions. Even during the course of the twentieth-century itself, it was clear that Orthodox theology was being reborn, entering into a new, creative, and fertile period of life. The pangs of this rebirth involved political upheaval and exile, and problematic relations with various “others” as a new identity was forged. 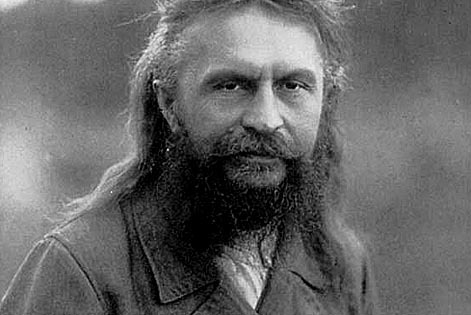 The account of this rebirth that became all but canonical for most of late twentieth-century Orthodoxy is one of liberation, struggle, and retrieval, involving a number of émigré theologians, the two main protagonists being, of course, Frs Sergius Bulgakov (1871–1944) and Georges Florovsky (1893–1979). Exiled in the West, the émigré theologians were liberated from the “Western captivity” of Eastern Orthodox theology, the “pseudomorphosis”, thinking in foreign categories that it had suffered over the previous centuries using Protestant to reject Roman Catholicism, and Catholic to reject Protestantism, but forgetting its own distinctive voice. Along with rejecting their own “Westernized” past, Florovsky and others also felt compelled to counter the continuing “Western” influence in Russian religious philosophy, having its roots in the encounter of the nineteenth-century Slavophiles with German Romanticism but manifest contempo­raneously, and most dramatically, in the sophiology of Bulgakov. Yet in and through these struggles, the émigrés in the West were also able to return (as were their Western counterparts likewise) to the authentic source of true theology, the Fathers, with the aim that in so doing they themselves would be able to address the existential questions of their own contemporary world. A “neo-patristic synthesis’ was thus forged, an authentically Orthodox style of theology based upon the Fathers rather than any outside influence. The strength and vitality of this creative approach, as well as the persuasiveness of its self-narrative, is witnessed by fact that it has been assumed as a given by the vast majority of Orthodox theologians in the latter half of the past century, as the only framework within which to theologize in an orthodox manner. All the tremendous fruit produced during these years notwithstanding, the persuasive rhetoric of the neo-patristic synthesis is no longer able to convince as easily as it had done in the past, nor cover over the weaknesses of its own account, methodology, and self-understanding. Looking back, now, across the gap of a change in century, we are perhaps in a better position to take a critical reevaluation of this rebirth, the identity that it constructed, and its limitations. Bulgakov always had his admirers, though there has been in recent decades a considerable renewed interest in his works by a wide range of readers, Orthodox and non-Orthodox. In addition to providing a more sympathetic reading of his sophiology, recent scholarship has also opened new insight into the genesis of the “neo-patristic synthesis”, the dynamics and resources deployed in the conflict, that enable a critical assessment of this dominant paradigm. The point of uncovering Florovsky’s own dependence on Romanticism and Idealism in his articulation of an Orthodox theology supposedly based upon a return to the Greek Fathers and their pure and unadulterated Christian Hellenism is not to suggest that all we now need to do is to purge this last remaining trace of Western influence to arrive at an even more purified Orthodoxy. Rather, the aim has been twofold. First, to signal how the neo-patristic synthesis was constructed in dialectical opposition to, and exclusion of, the other. Identity, of course, only comes about through difference; but in the case of Florovsky, difference always seems to be hardened into conflict. Exasperated, Bulgakov asked him: “why do you have such an involuntary need to cast opposition from difference, animosity from non-affinity.”11 Despite the rhetorical deployment of the terms, “East” and “West” are not diametrically opposed, hermetically sealed units, but have, in fact, been continually influencing one another, shaping each other’s identity. It is essential to recognize this reality and so acquire a truly authentic catholicity, fully becoming whom we are called to be in Christ, rather than only partially and polemically so.12 The second point is that, beyond tracing the genealogy of Florovsky’s own thought, focusing on his appeal to “the mind of the Fathers” directly exposes a fundamental weakness in his methodology and hermeneutics, which is that making such notions the primary point of reference effectively negates any need for careful, disciplined, and patient reading of the patristic texts—the point is not to quote the Fathers, but to acquire their mind. Their particular differences are not ignored, but neither are they in view: it is the consensus of the Fathers, their phronema, that is important. Any differences between them are also likewise elided: differences are recognized, but the particular voice of each Father is not important, for what alone is “authoritative and binding” is their consensus, expressing “the mind of the Catholic and Universal Church”. Already in 1937 Bulgakov had noted that treating the Fathers in this way would be a rather “rabbinic approach” to their writings, smoothing out and harmonizing differences between them as the Talmud does with different rabbis.13 Rather than appealing to their “mind” of the Fathers, Bulgakov himself focused much more explicitly on their “writings”, granting them a “guiding authority”, though not infallibility, and emphasizing that they need to be “understood within their historical context”. This means that the authority of their writings is necessarily bounded by certain limitations, which, he claims, “is much more greatly felt, of course, when it comes to their scriptural exegesis, which was utterly bereft of the modern hermeneutics of textual and historical scholarship.”14 Florovsky also knew that the words of the Fathers have to be contextualized, and stated his position trenchantly: it is, we have heard him say, “a dangerous habit ‘to quote’ the Fathers, that is, their isolated sayings and phrases, outside of the concrete setting in which only they have the full and proper meaning and are truly alive.” It is indeed a dangerous habit only ‘to quote’ the Fathers, to repeat the phrases and sayings we all know so well. One must indeed pay careful attention to the context of these words and sayings. But for Florovsky, this context is primarily the “mind”, “vision”, or “experience” of the Fathers, the “mind of the Catholic Church”, not the particular historical situation of each Father, the struggles in which they were engaged, and the unique witness, in all its particularity, that each bore. There are two comments that need to be made in the light of this analysis. Firstly that disciplined, historical study—the fruit of twentieth-century scholarship—is indeed necessary. Every reading of a text will certainly be conditioned by the historical context of the reader; we can never completely suspend our own presuppositions. Bulgakov’s disparagement of Patristic exegesis just mentioned is a rather telling case. But we can certainly bring them to the fore and let them be questioned by the material we study. If we do not do so, we will never in fact learn anything. We will instead only find confirmation of what we think we already know: starting with our dogmatic theology, as it has been synthesized over the centuries from the conclusions of the great councils to the handbooks of dogmatic theology, we would turn to the fathers to find confirmation of this, and conclude that they are in fact all in agreement (with what we already knew). The ascesis of disciplined historical study allows us to hear the distinct voices of particular Fathers, at least as they have been preserved in their writings, a limitation which demands from us even great circumspection. One can read the Fathers “rabbinicaly”, as Bulgakov put it, but better to do so in a manner which enables us to hear them as living, historically-situated, witnesses, each with a distinct voice, in dialogue (where differences need not be oppositional, but complementary), to learn to share in that conversation and take it further. The history of theology is not so much a history of ideas (the history of the development of “trinitarian theology” or “Christology” for instance), nor the disclosure of a transcendent subject (the “mind of the Church”), but a history of concrete, historically situated Christians, bearing witness to, and embodying, their faith in Christ until he comes again. The site of the theologian is history, standing between the definitive act of God in Christ and his return, patiently and dialogically learning to hear the Word of God and bring all under the sign of the Cross, driven by the tension of the already-but-not-yet. The second comment is that if the ability to speak theologically is learnt this way, by entering into the conversation, then we are indeed free to speak in our own times in our own idiom, and not only free to do so, but under the obligation to do so, to continue to address the world with the good news of Christ. To do requires genuine creativity. But it also demands rigor—a rigorous hermeneutic and a rigorous clarity in method and exposition. Every claim to be representing a particular Father’s position certainly now needs to be defendable at the most rigorous scholarly level; it no longer suffices to claim that an argument or a position represents their “mind”, their “intention”, or an even larger project, the gradual unfolding of a metaphysical truth, of which the Fathers themselves may not have been aware. But more importantly, we need to acknowledge that not every theological argument needs to be couched in terms of following the fathers nor presented as an explication of them. The neo-patristic synthesis whilst undoubtedly being a breath of fresh air that stimulated many great advances, in some ways has also stymied creative, and faithful, reflection and theological articulation. But if we are going to go beyond explicating the writings of the Fathers, as indeed we must, we must also learn how to develop a theological discourse which is clear, not only about what it has to say, but also about how it is speaking, how it handles questions of divine revelation and human language, Scripture and its interpretation, liturgy and the nourishment it supplies, faith and reason, and now, in our post-modern, multi-cultural contexts, about our own first principles and those of others. The second observation regarding the past century that merits reflection is much more general, and that is increasing specialization of theological scholarship and, simultaneously, its increasing fragmentation, to the point that it no longer clear at all that different areas belong to a common discipline of theology.15 For the first millennium and more, theology was pursued by the contemplative reading of Scripture in the context of the school of liturgy and in the tradition of the Fathers. But during the course of the second millennium, this paedeia fell apart (East and West): the practice of sacra pagina became the discipline of sacra doctrina, in which passages of Scripture were accumulated in support of dogmatic points, the loci communes, which then took on a life of their own, as the building blocks for dogmatic theology, resulting in handbooks of dogmatic theology that in turn provided the categories used in the study of Church History and the Fathers. Almost invariably the textbooks of these subjects divide up the early centuries into distinct periods corresponding to modern systematic categories: for instance, the “Trinitarian” debates of the fourth century followed by the “Christological” debates of the following centuries, assuming that “Trinity” and “Incarnation”, as we now understand these terms, are given categories of theological reflection whose history we can trace as various Fathers worked towards a more perfect understanding of these elements of the Christian faith. St Athanasius’ classic work, On the Incarnation, is thus summed up as “he became man that we might become god”, despite the fact that this is a passing comment in the penultimate section of the work, directed against the Gentiles, rather than being the heart or the conclusion of the work. In fact, if we read his text that way, we will have missed altogether what he has to say about the Incarnation, in the first treatise to be devoted to the topic. The theological reflection of the Fathers is thus divided into a range of distinct topics—God, Christ, creation, salvation, Mariology, ecclesiology and so on—each of which are treated as discrete, so that one can compare or synthesize any of these elements as treated by different Fathers without the necessary task of examining how any given Father held all these elements together (if indeed he ever recognized them as being distinct to begin with). With this fragmentation within the study of the Fathers, it is not surprising that over the last decades of the past century the specialized discipline of Patristics became untethered from its moorings in theology to become the study of Late Antiquity, in which all too often the patristic writings are mined for anything else other than theology. The study of Sacred Scripture has likewise been set loose from theological concerns, governed instead by the rubrics of historical-critical studies: the original authorship, context and redaction of the various books, the history the people of Israel and their religion, or of “the Jesus movement” as it is sometime called. As such, it is not surprising that when scholars, trained in such methodologies have attempted to come to terms with the dogmas articulated in patristic theology, they have not-infrequently resorted to the language of myth.16 And with this being the state of scriptural study, it is not surprising that, beyond the occasional quotation, Orthodox theology in the trajectory of the neo-patristic synthesis shows no serious or sustained engagement with Scripture or its scriptural scholarship: they inhabit two very different worlds. The exception is Bulgakov; but he, as we noted earlier, was prepared to jettison patristic exegesis as being incompatible with modern findings of historical-critical scholarship. What engagement there has been with patristic exegesis has usually drawn upon the presuppositions of mid twentieth-century scriptural scholarship (praising the historical reality of Antioch typology, and hesitant about the Platonizing tendency of Alexandrian allegory), and also regards exegesis as something separate from theology proper, as if the debate between Antioch and Alexandria over exegesis was something separate from, although simultaneous with, the debate about Christology. The same point can be made with reference to the study of liturgy. Looking back once more to the twentieth century, it would seem that the greater part of the study of liturgy proceeded as if it were an archaeological study: determining how particular rites were celebrated in different places at different times. Although we now know much more about the various hymns we use, the content of this hymnography, the theology it presents through its poetry and its use (and amazing juxtapo­sition) of scriptural imagery, has not yet really been explored, perhaps, again, because we had been persuaded that the proper way to use Scripture was otherwise, as a historical document, and that what we say in Church is therefore nothing but fanciful poetry. An alternative approach treated liturgy as an expression of man as a worshipping being, a phenomenology of worship, as it were. But here again, very little attention is actually given to the hymns and the prayers; attention was captivated by the phenomenon of worship and its role in human life. Similar points can also be made, mutatis mutandis, with respect to the other fields covered under the rubric of theology. Theology, as a unified discipline or paideia, has clearly fractured into a number of discrete fields. However, this is not cause for lament, for it has also meant, in reverse, that within each field a phenomenal amount of scholarship has been expended, erudite volumes produced, and a depth of knowledge attained. And all this has been necessary: in this way, the spell of a “harmonization” of history from our own perspective is broken, and we can begin to “hear” each historical witness faithfully. However, to do so as theology requires a creative moment of reintegration. The “re” here in “reintegration” is not meant to suggest that we need to return to a lost gold age of (eastern) theological purity; the past is gone, we stand at this moment of history and no other, and the past was never “pure” anyway. Rather, the task is before us to learn how to hold together the depth of historical knowledge that we now have as a richer theological symphony, to use the imagery of St Irenaeus, the coming together of many distinct voices in the praise of God. One way in which this might be accomplished may well be through a return: returning, now with all of our more historically informed knowledge, to reconsider that which we are perennially tempted to forget – how it was that we first learned the language of Christian theology. That the Scriptures are opened only in the light of the Passion, and that Christ is recognized in the breaking of bread, these also being the only two things which the apostle specifically says that he received and delivers (“traditions”), provides a model or paradigm for how Scripture and liturgy are the framework and sustenance for theological reflection. That once recognized Christ disappears from sight, that his presence, his parousia, coincides with his passing, his transitus, places the theologian, as discussed earlier, squarely in the dimension of history, straining forward to meet the Coming One by looking backwards at the trace that Christ has left of himself in this world and its history: “through him you sought us when we were not seeking you, but you sought us that we might begin to seek you” as Augustine put it in his Confessions. Theology, so construed, is not simply an abstract discourse “about God”, as “zoology” is a discourse about animals and “geology” about the world. Rather it bears witness to the work of God in this world and its history, bringing light out of darkness and life out of death. It is exegetical, it is liturgical, and it bears witness, it is martyria. Having passed into the twenty-first century, we can now use the wealth of scholarship that it has placed at our disposal, passing beyond the limitations that we have analyzed, to speak the Word in a language that can address our contemporary world. 2 Florovsky, “Patristics and Modern Theology”, Diakonia 4.3 (1969), 227-32, at 229-30; originally in Procès-Verbaux du deuxième Congrès de théologie orthodox à Athènes, 19-29 août 1976, ed. Savvas Agouridas (Athènes, 1978). 3 Florovsky, “St Gregory Palamas and the Tradition of the Fathers,” Collected Works, 1, 105-20, 127, at 111 (originally in GOTR 5.2 [Winter 1959-60], 119-31). 5 Florovsky, “The Authority of the Ancient Councils and the Tradition of the Fathers,”  CW 1, pp. 93-103, at pp. 98-99. 6 “The Authority of the Ancient Councils”, 103. 7 The fathers certainly speak from their experience of Christ, but they do not appeal to this experience to justify their theological assertions. Romanides (“Critical Examination of the Application of Theology“) appeals to St Gregory the Theologian’s words in Or. 28 as such an appeal, missing the force of such rhetoric, which Gregory deploys to lead his audience to realize that they cannot do so but “must start again” (see John Behr, The Nicene Faith, 2 vols. (Crestwood, NY: SVS Press, 2004), 2.336-8); St Symeon the New Theologian certainly appears to do so, but always with a purpose, to emphasize the authority of the spiritual father (see J.A. McGuckin: “Symeon the New Theologian [d.1022] and Byzantine Monasticism,” in A. Bryer & M. Cunningham eds., Mount Athos and Byzantine Monasticism [Variorum, 1996], 17-35; “St Symeon the New Theologian [969-1022]: Byzantine Spiritual Renewal in Search of a Precedent,” in R.N. Swainson ed., The Church Retrospective, Studies in Church History, 33 [Ecclesiastical History Society, 1997], 75-90; “The Luminous Vision in Eleventh-Century Byzantium: Interpreting the Biblical and Theological Paradigms of St Symeon the New Theologian,” in M. Mullet & A Kirby eds., Work and Worship at the Theotokos Evergetis 1050-1200, Belfast Byzantine Texts and Translations, 27 [Belfast, 1997], 90-123); and even St Gregory Palamas, when he replies to Barlaam’s criticism that he (Palamas) speaks as if he has reached the heights of contemplation, replied that: “If you call here a paradigm (paradeigma) what we spoke of there figuratively as myrrh, listen now attentively: ‘We have left almost entirely neglected the skills of argumentation, but have grasped little or nothing of the true wisdom; rather we run as though into the odour of myrrh but without having the myrrh itself on our hands’. Are not these things there explicitly? Clearly then you are wrong in claiming that we said we had attained it, when we were saying that we had not yet attained it” (Ep.1 Bar, 230.6f; the passage quoted from his letter to Akindynos is found at Ep. 1 Ak, 219.19f). 8 Gallaher, “‘Waiting for the Barbarians'”. 9 Gallaher, pp. 676-678; Johan Adam Möhler, Unity in the Church, or the Principles of Catholicism (Washington DC: CUA Press, 1996), 96, 107-11, 177; 87; 110; 122; 175-180. 10 Ivan Kireevsky, “fragments”, On Spiritual Unity, 276-91, at 283; quoted in Gallaher, p. 674. 11 Letter of 18/31 August, 1924, quoted in Gallaher, p. 662. 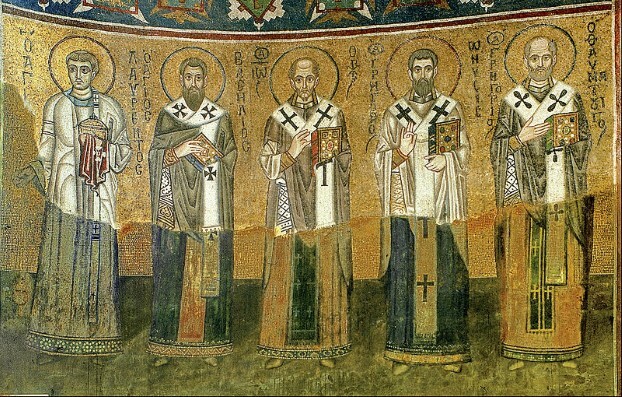 12 Gallaher: “What we are suggesting is that perhaps the future of Orthodox theology is not through the tired self-reflexive movement of grasping at a purely Eastern phronema somehow available hermetically sealed from the post-great schism West in the Fathers and the liturgical tradition, in say Cappadocian ontology and eucharistic ecclesiology—to name but two … Rather, quite the opposite might be the case, ecclesial identity … might be discovered through finding out who one is in and through that which seems at first most different from or even hostile to one. … a positive encounter with all that is Western … To alter Kipling, East is West and West is East and ever the twain shall meet; implicating one another in a ceaseless creative tension, a coincidence of opposites. To take an example from the Eastern pole, … we come to know Florovsky as most Eastern a religious thinker best at the very points where he uniquely transmutes the Westerner Mohler in his reading of the Fathers and so, despite himself, Florovsky mediates Schelling to his neo-patristic sythenesis and is, in this way, a sort of closet Romantic while remaining wholly Patristic” (681-682). 13 Bulgakov, “Dogma and Dogmatic Theology” (originally 1937), trans. p. 70. 14 “Dogma and Dogmatic Theology”, 71. 15 For what follows, see E. Farley, Theologia: The Fragmentation and Unity of Theological Education (Augsburg Fortress, 1994). Fr John Behr is the Georges Florovsky Professor of Patristics at St Vladimir’s Orthodox Theological Seminary. He has published numerous essays and books, including the two-volume The Nicene Faith, Irenaeus of Lyons, The Mystery of Christ, and Becoming Human. Most recently he has published and translated a new critical edition of Origen’s On First Principles. This paper was originally delivered at the Volos Conference in Greece, June 2010. This entry was posted in Theology and tagged Florovsky, John Behr, neo-patristic, Orthodox theology, Sergius Bulgakov. Bookmark the permalink. I am always enriched by interacting with Fr. Behr’s work. One of the things that I think is most valuable and most liberating about the points he raises here is that we are not complete without the Fathers, but we cannot ensconce them in history as if they are complete without us. We read Scripture and grapple with the truth in our own day, but it is a family project that we do with them. It is not as if the past is a fixed quantity, the Church is always living and they read with us. As a Protestant, in the past couple of years, I have discovered with great delight the wellspring of the Patristic past. Those of us who wish to remain faithful to our confessional moorings are often faced with a reductive approach that insists that all faithful Protestant theology is an echo of the 16th and 17th Centuries. While I am quite happy to be a Protestant, so long as such a movement serves as a minority report in the Church at large, I am often troubled by the marked lack of catholicity in our reading of Scripture and in our theological discourse – this is especially true in the erstwhile conservative Reformed community where some modicum of truth still matters. Bearing witness to the truth is a polyphonic chorus of all the historical moments of the church, and even the most discordant notes from the past open the door to new harmonies if we have the courage to bear witness with our own voices. I think it’s very strange that Florovsky’s “Return to the Fathers” is not exactly in-and-of-itself, despite his own intentions, an escape from Western methodology, but coincided with Nouvelle Théologie and its goal to mine the Patristic sources. Here is the fundamental issue that arises from this (needed) movement away from reading the Fathers through a flat lens which smooths out their differences: how does one reformulate tradition? “Tradition,” at least in regard to how it’s employed within modern Orthodox discourse, itself needs continuity between major figures in order to be legitimized. At what point does nuance disrupt such continuity? What I’m interested to see is a study of tradition qua tradition; that is, what are the elements which constitute tradition? Is tradition even a needed element within Orthodox discourse (sacrilegious, I know!) as it is often a placeholder for projected connections rather than historical, concrete, and binding texts? I like where you’re going with this. The term “tradition” has always seemed rather vague to me and appears often to amount to merely majority opinion applied to topics in their broadest and vaguest construal. When we leave the view from 30,000 feet the traditional view/teaching becomes very difficult to discern, or even to define. Interesting points about tradition! I think perhaps one of our greatest challenges today is in how do we evolve with tradition without also losing valuable elements and/or teachings. It’s probably not without irony that I comment on tradition as a Protestant, but we have our own even if we refuse to admit this. My sense is that tradition is both a positive and creative source of truthful witness and a wax nose that can be manipulated to leverage ungodly control and make us prisoners to the defects of either history or our own motives or both. Like any tool, it’s all how it is used. Thank you for this Fr John! You won’t remember dealing with my annoying emails and incessant questions a few years back. Thanks for being so open hearted. The statement of Bulgakov to which Footnote 14 is attached – yes, and wow – I’d like to see an essay on just that. There is a good talk by Fr John McGuckin on this topic, on Ancient Faith, titled “On the Mystical Theology of the Eastern Church”. I’m glad to see more and more discussion of the historical value and also limitations of this “neo-Patristic synthesis.” There is much that is valuable in the work of Florovsky and likeminded theologians, but much that, if taken dogmatically, is distorting. This is one reason I’m glad that Orthodoxy does not have a top-down, centralized structure like Rome, or else we would have had a Trent-like council enshrining the neo-Patristic narrative as dogma. For many Orthodox writers it already has that status but fortunately that is not an irreversible development.